2017 has been an interesting year. At the beginning of the year I had two classes, but sadly by April this was reduced to one due to injuries sustained, though not in the dance classes thank heavens. In March we enjoyed the first of my haflas and had some very enjoyable performances (though sadly no photographs!). I have been kept busy by the Women's Institute who have invited me to attend several of their meetings to give my talk. I can honestly say that I have made several good friends now even though I am not a member myself. 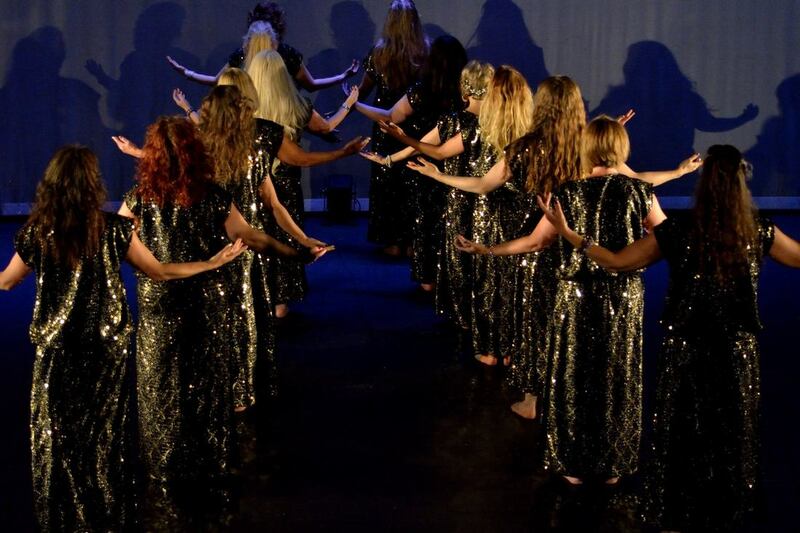 During the summer holidays I attended a week long dance event in Sunderland where a group of ladies got together to prepare for an end of week show that we would perform in Newcastle. Once the feelings of guilt wore off (because the hubby had to take a week off work to look after the kids for me) and rehearsals began I was very soon in the swing of things and thoroughly enjoying the process, despite being worn out physically by it all. However, by the end of the week, the show was fantastic and we all came away as good friends. Sadly, we did not attend the Penwortham Gala this year because the weather was atrocious from the minute we got up, until after the event, but we hope to be back next year. In August, I was invited to join my good friend and dance teacher to perform with her at the Feast for Peace in Preston which was in it's second year of running. There, we performed a solo each to entertain the masses which was great fun, and afterwards we were all treated to food from different cultures, all lovingly made by volunteers who accepted donations for their hard work. It was a great day out and the weather was kind. At the end of October I held my annual Halloween Hafla which always goes down a treat (or if you're very naughty, a trick!). This is the perfect opportunity to hang up your belly dance shoes for one night and do something wacky. Unfortunately, due to lack of time, my class and I ended up doing a Halloween fantasy which was very last minute, but great fun was had and once again everyone pulled out the stops and created some lovely dances. Right now, I am still teaching weekly classes, and am half-way through a Beginners Crash Course. I am also in preparations ready for next year's haflas, so keep watching this space for more information on those dates as and when they are sorted.